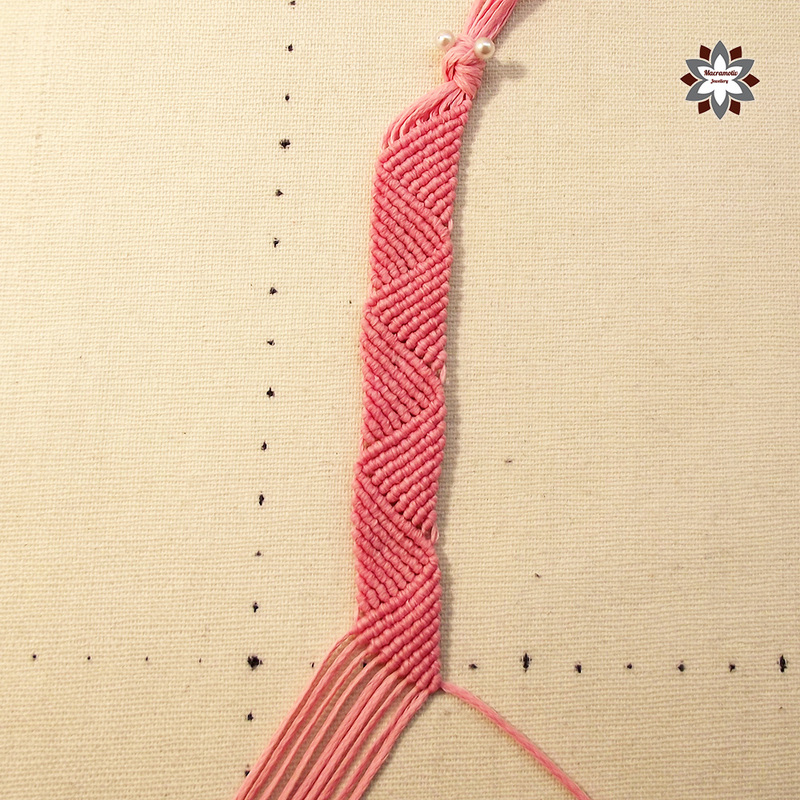 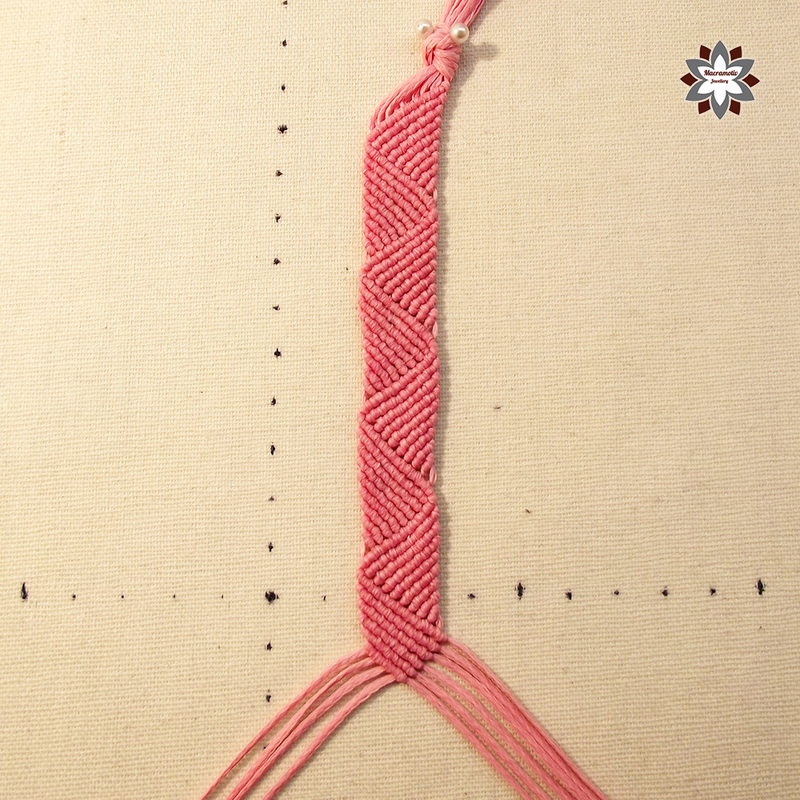 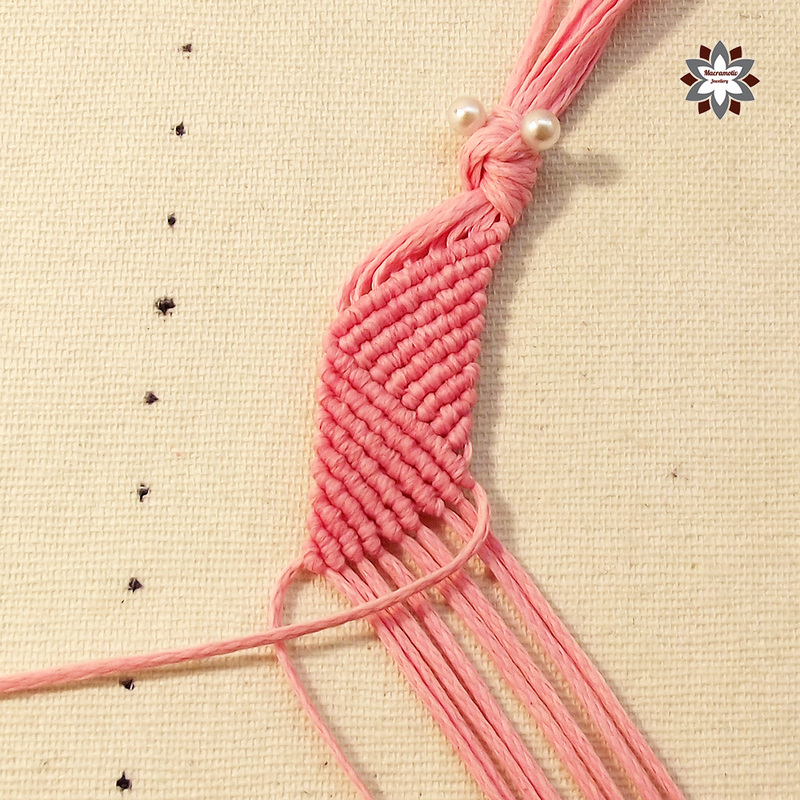 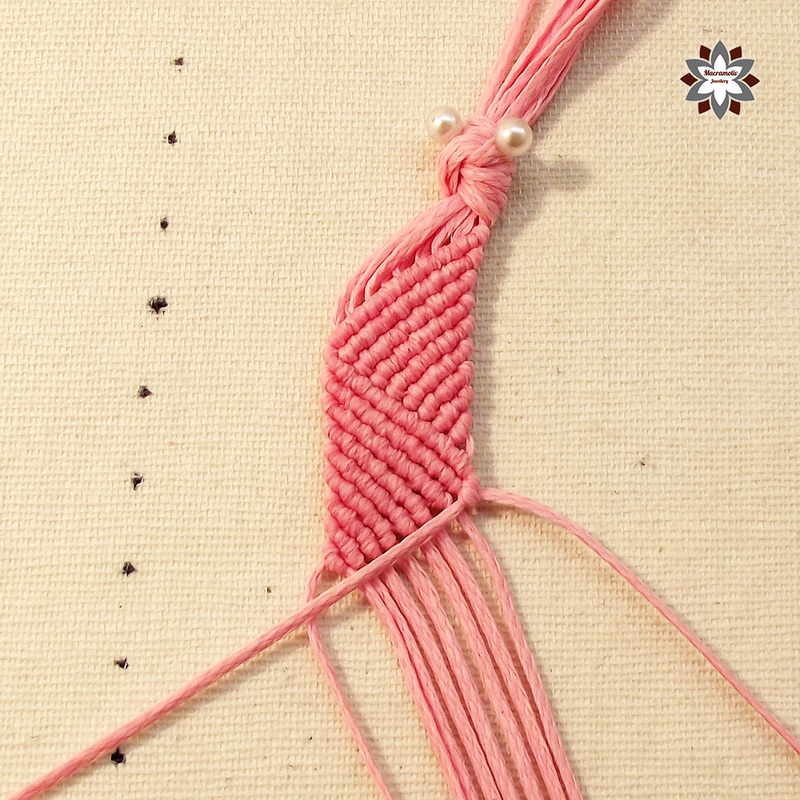 This knotted pattern uses a lot of cord, because the knots are next to each other densely, except the one that goes in the zigzag line. If you play with the number of cords you can change the thickness of the bracelet. 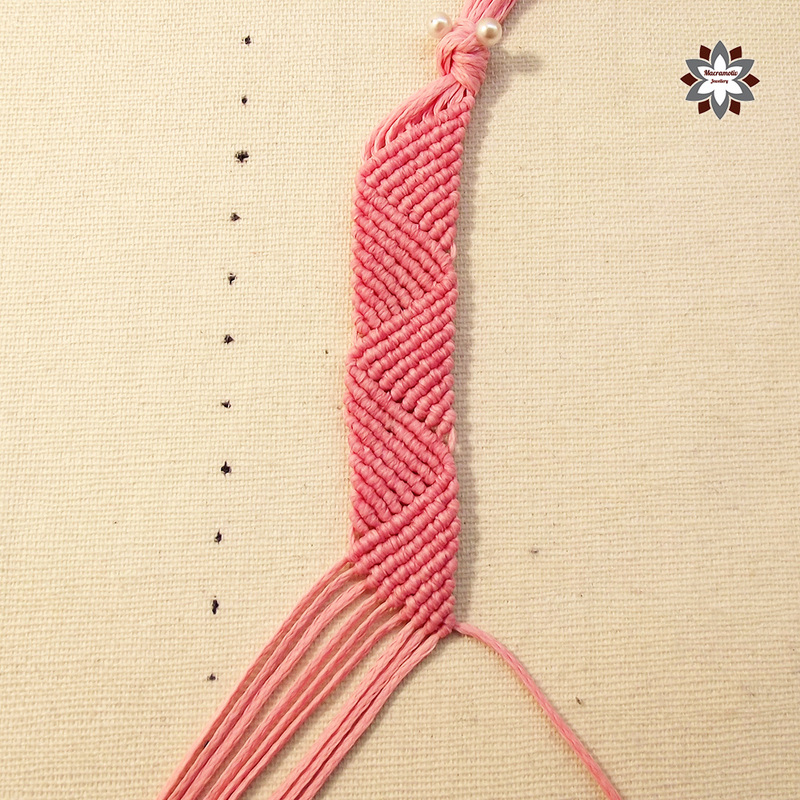 This pattern can be used in necklaces too. I used turkish waxed polyester cord for this project. 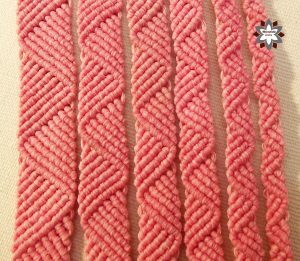 If you have any questions about cords I use, or the board I work on, please visit FAQ page first. 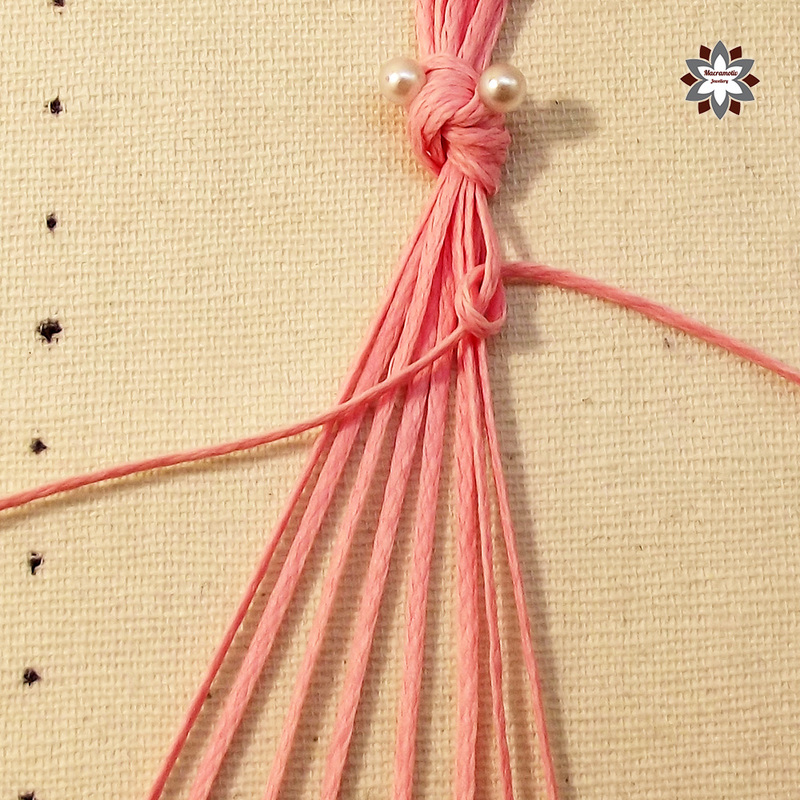 10 x 130cm waxed polyester cord (1mm). 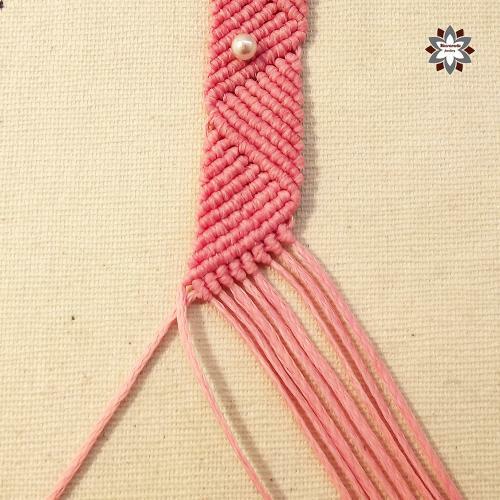 If you like this project and you have already made your version of it, I would be glad to share a picture of your work here on the Gallery page with your first name. 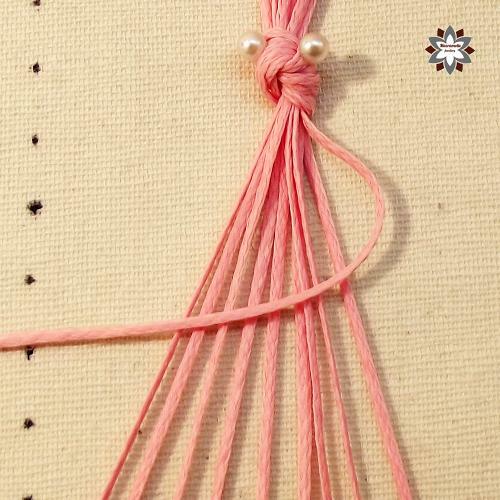 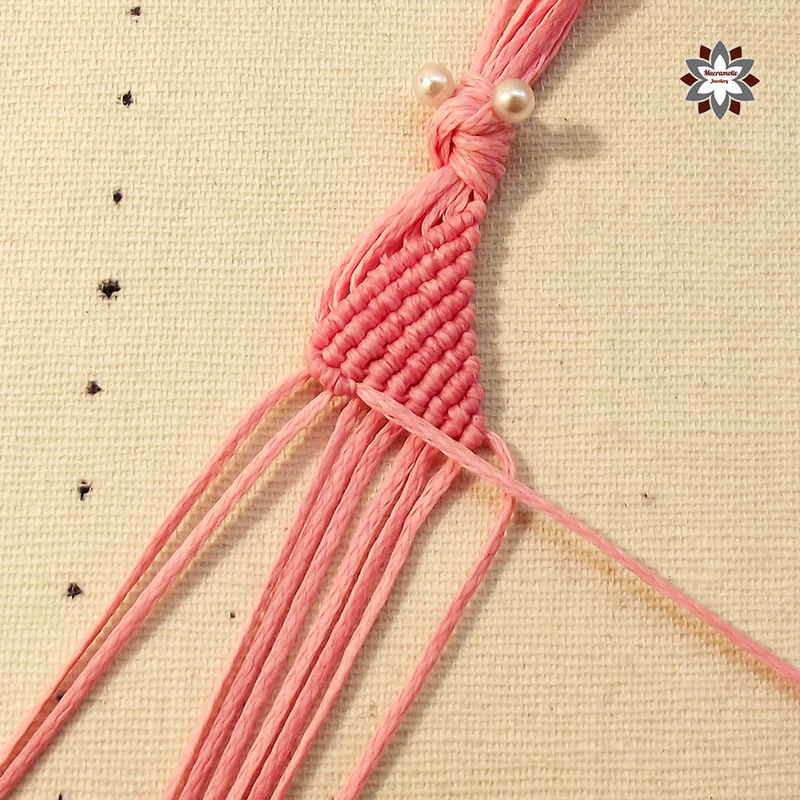 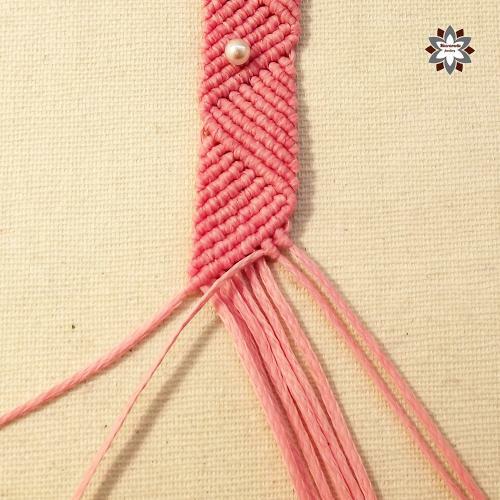 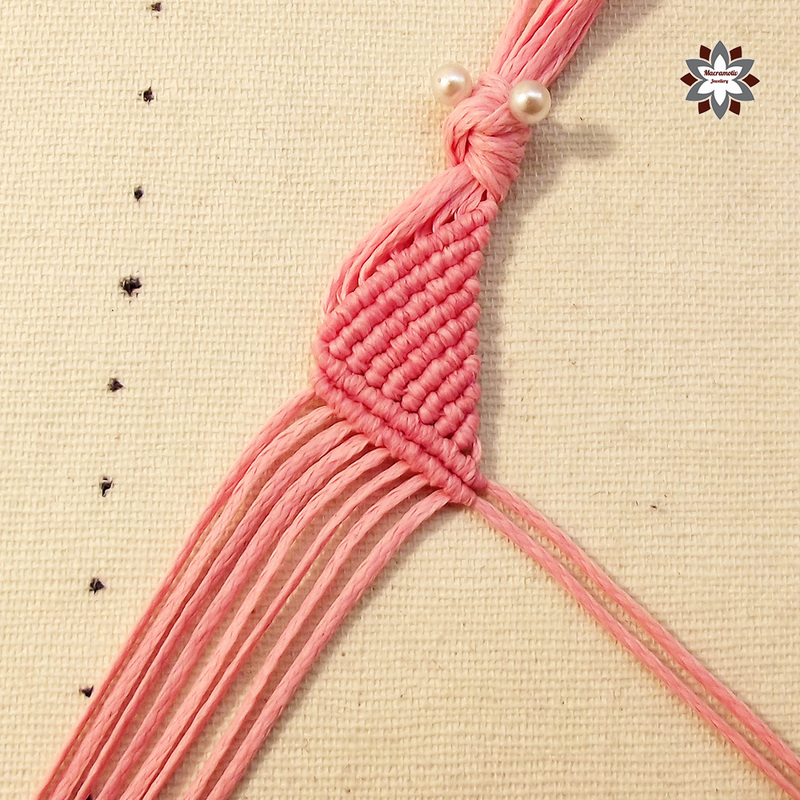 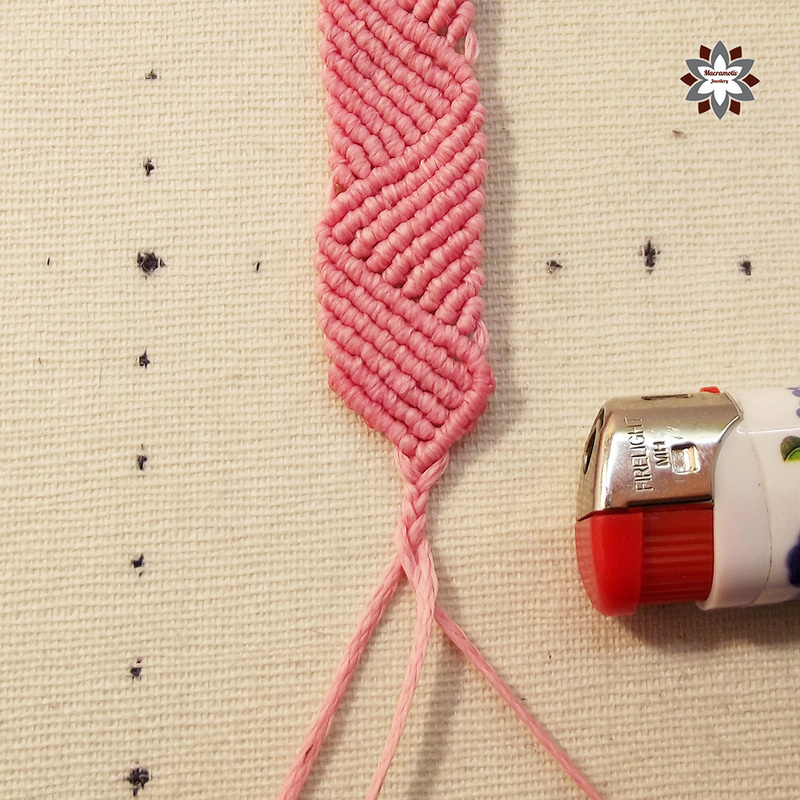 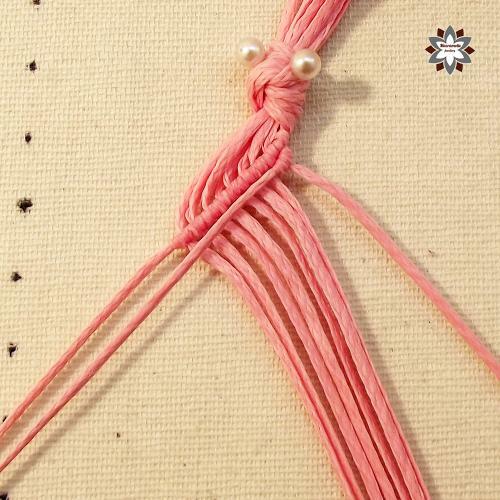 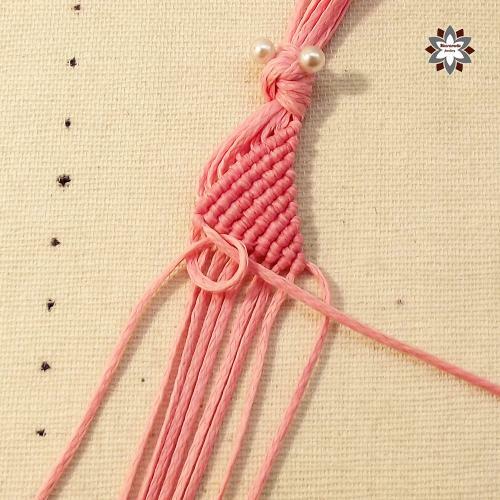 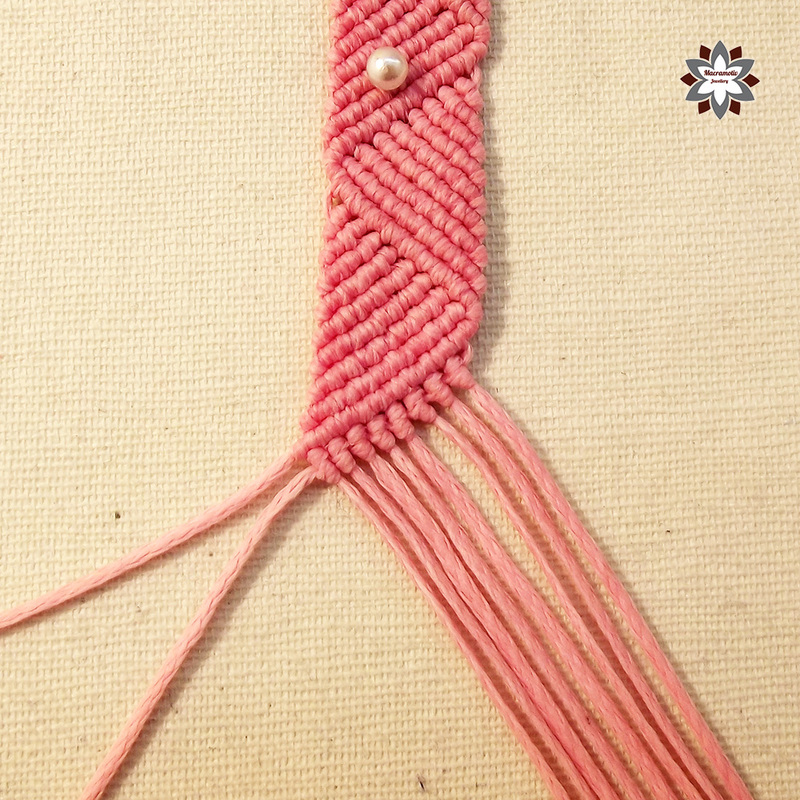 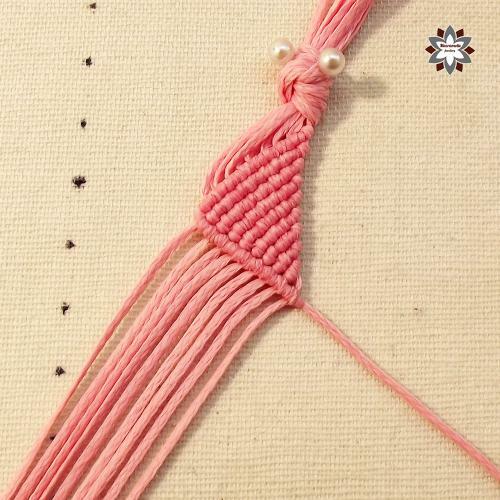 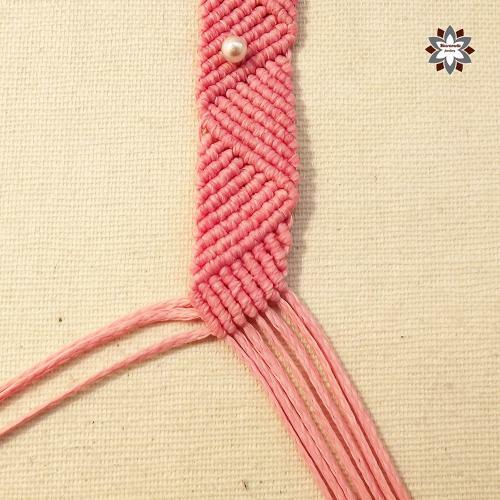 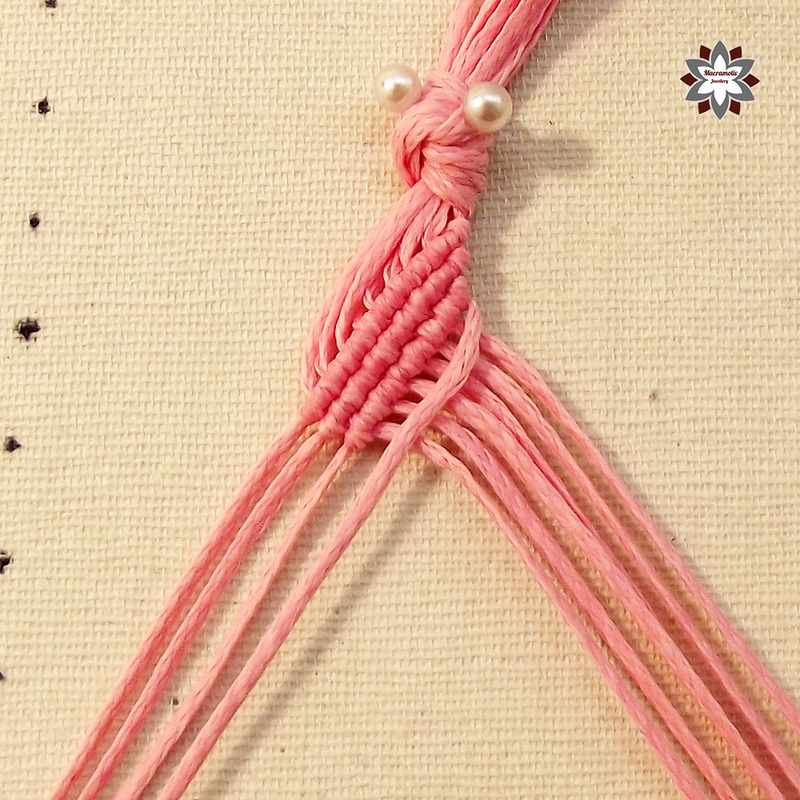 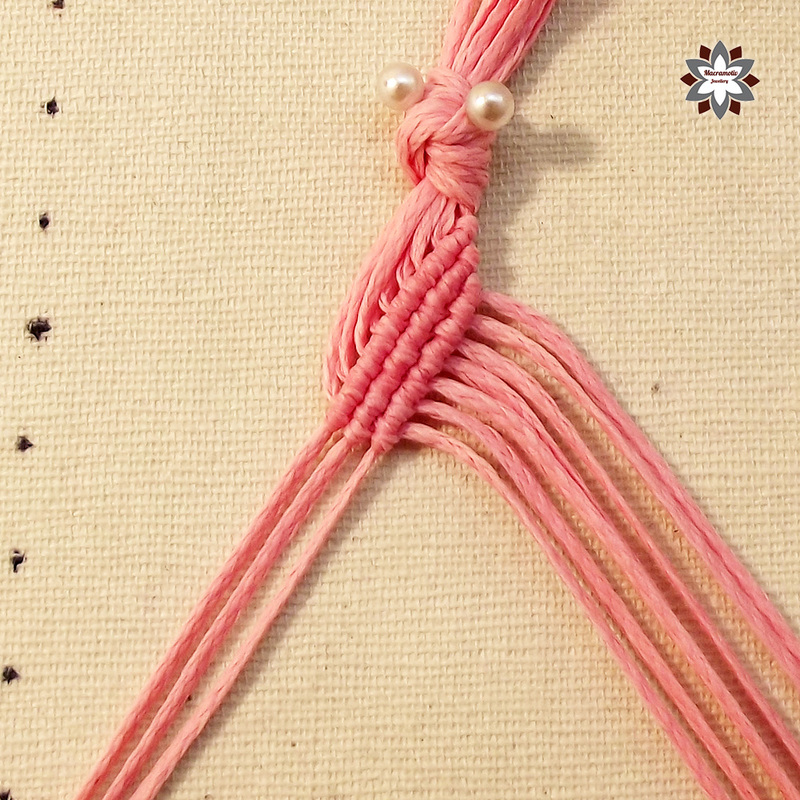 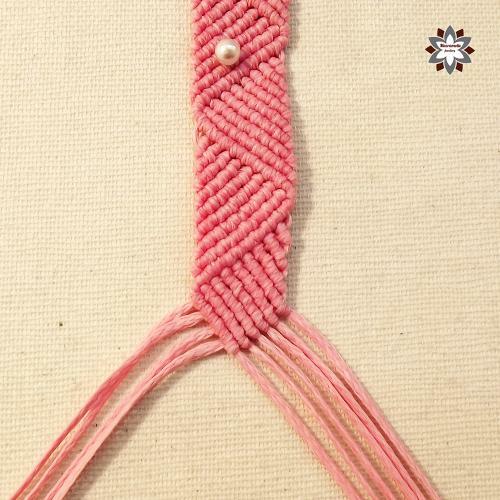 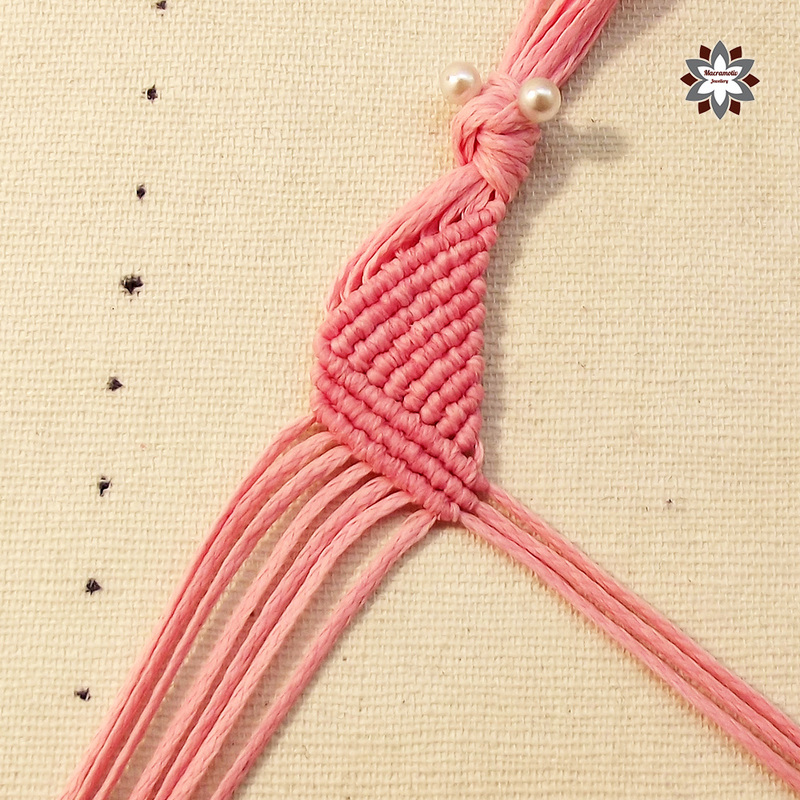 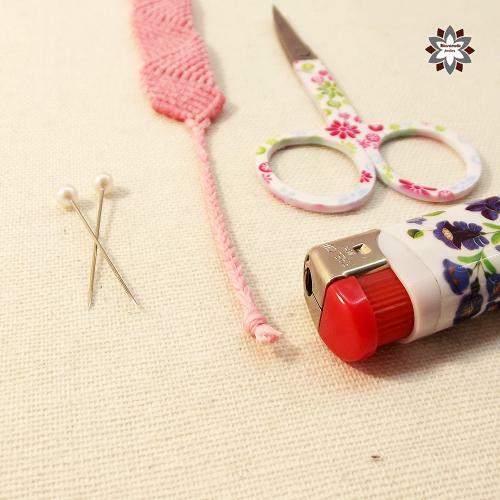 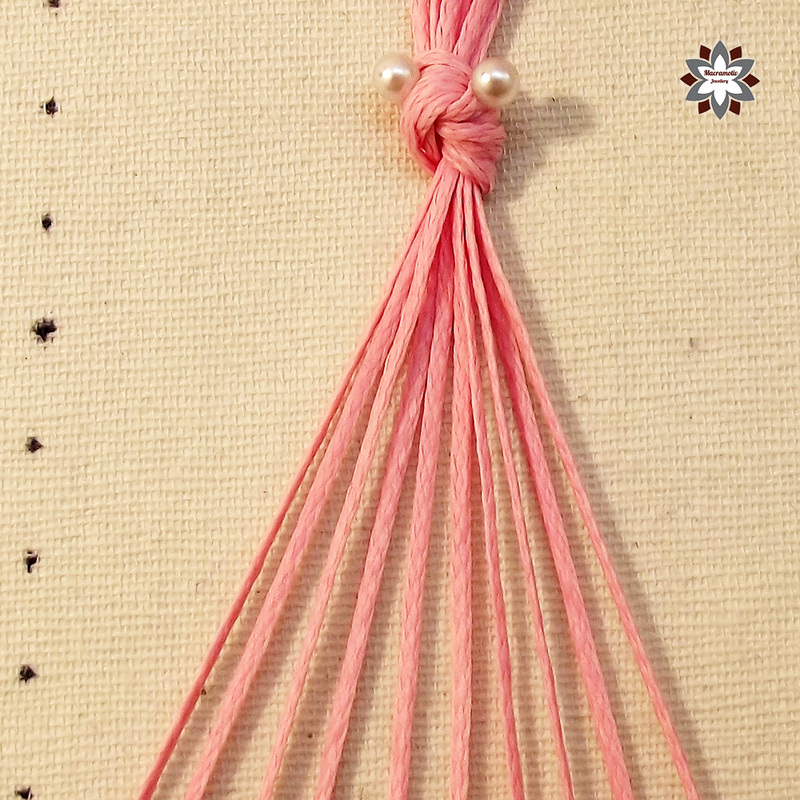 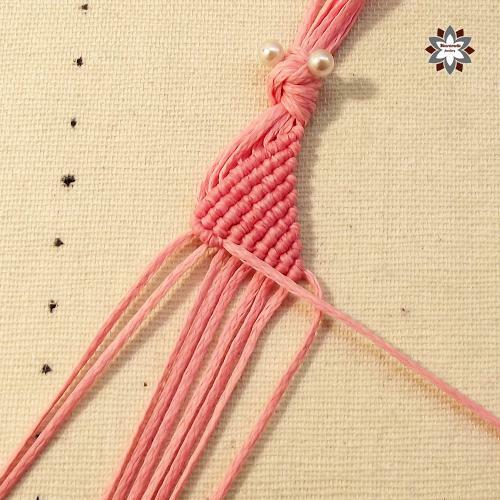 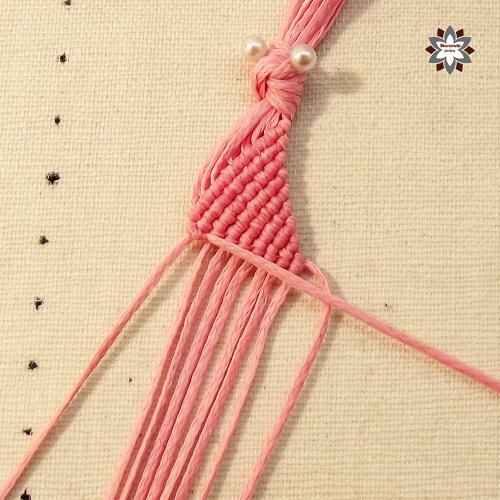 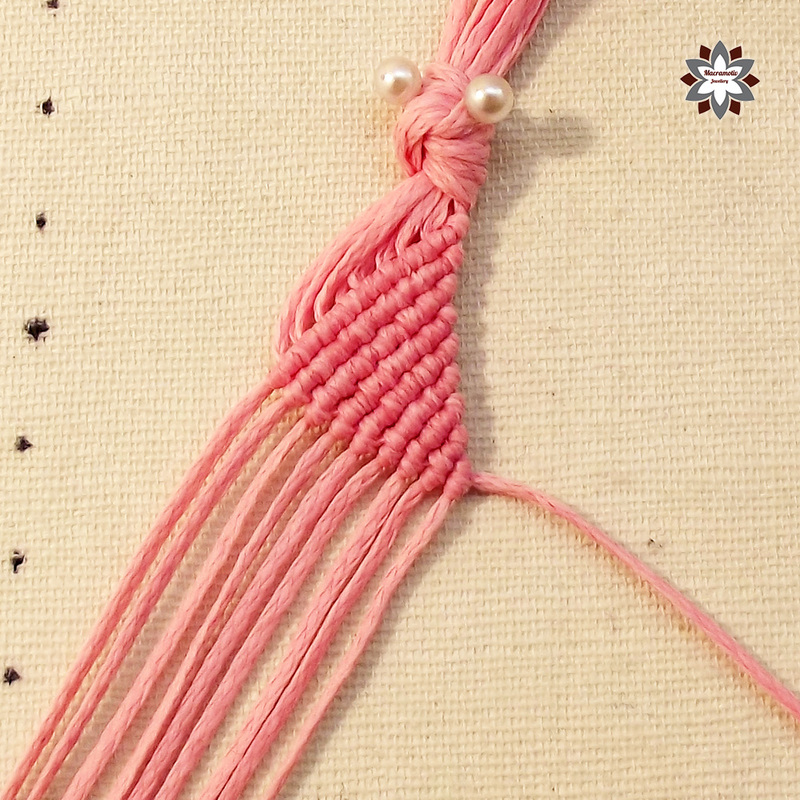 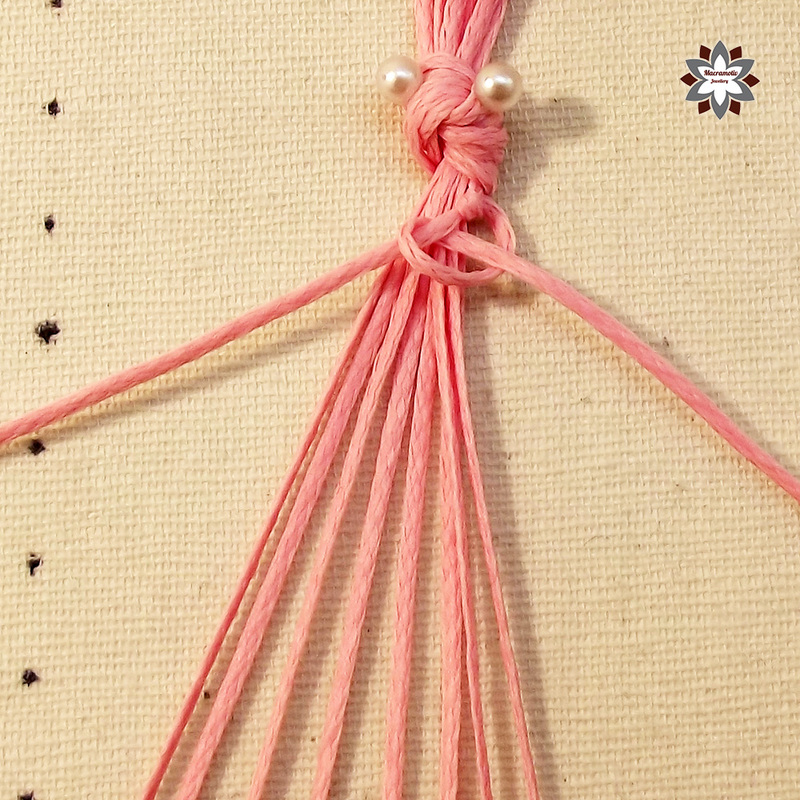 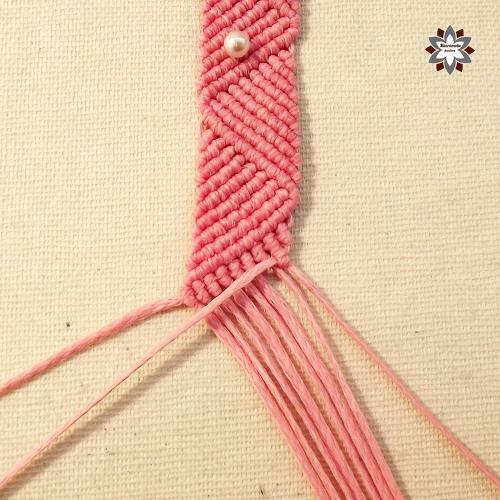 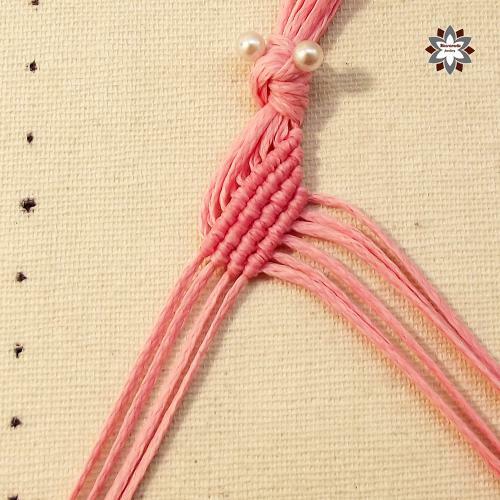 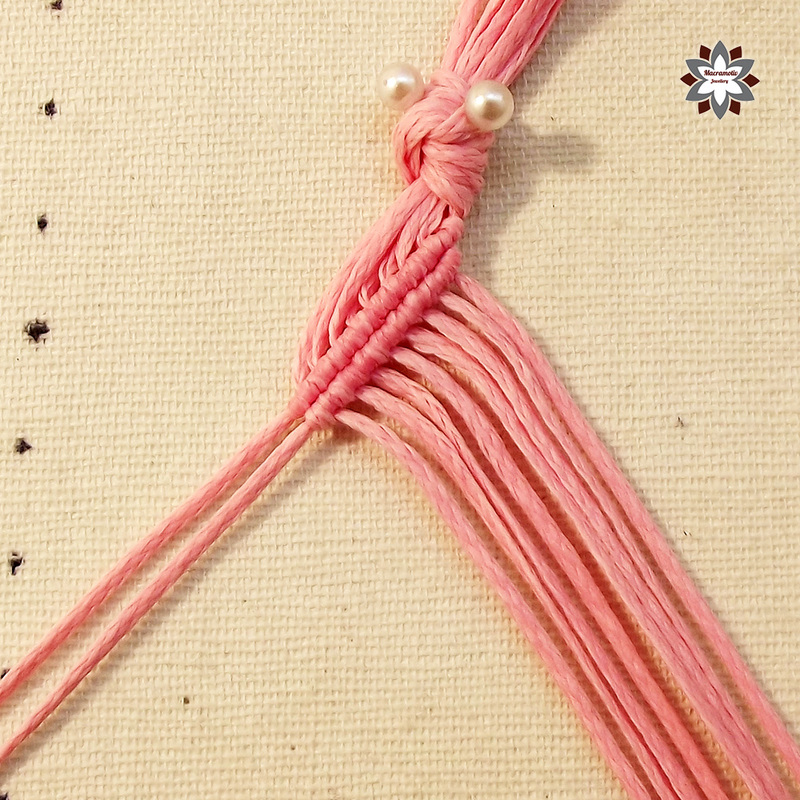 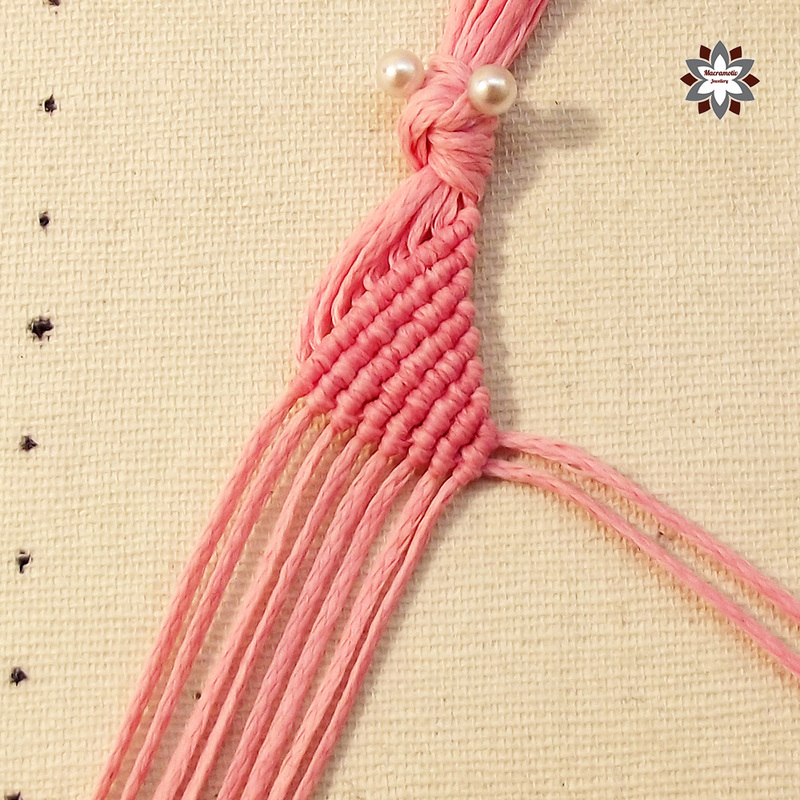 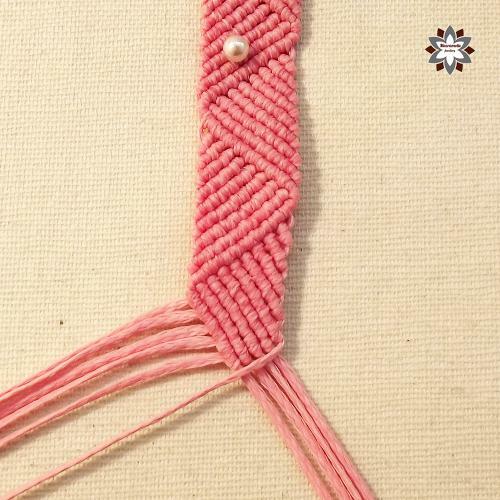 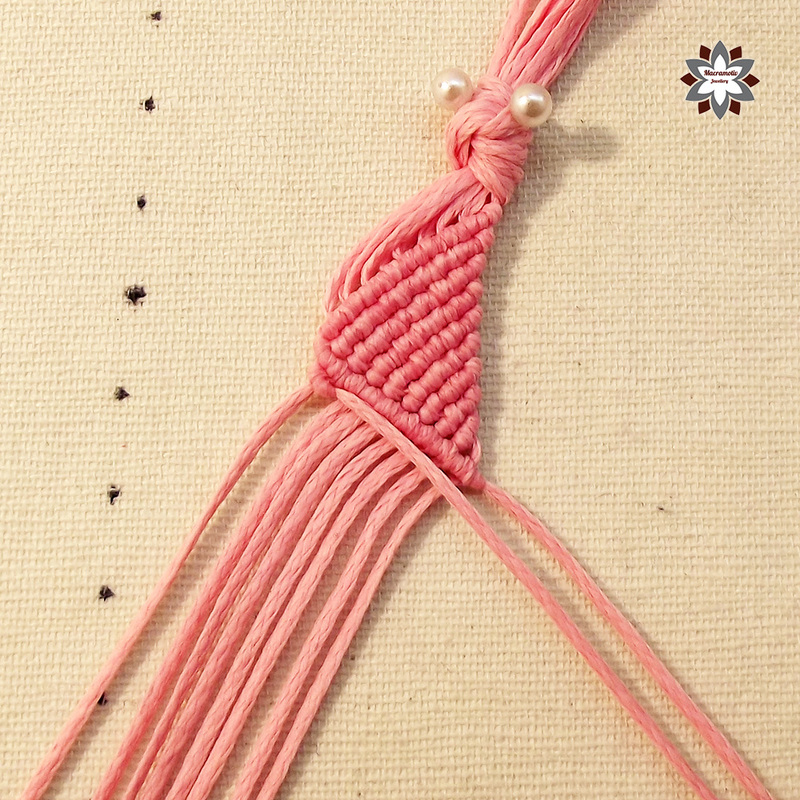 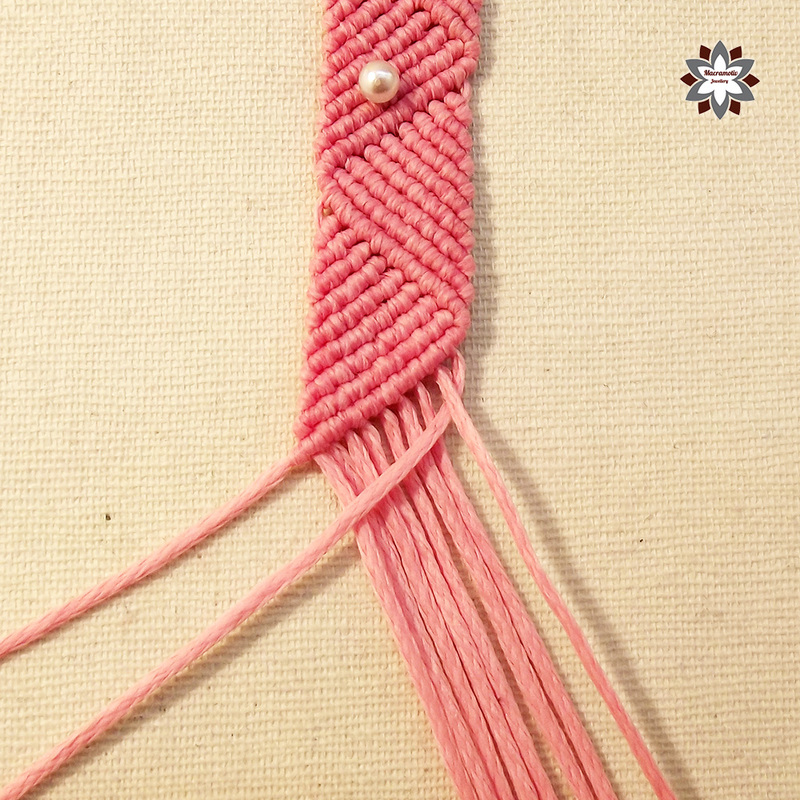 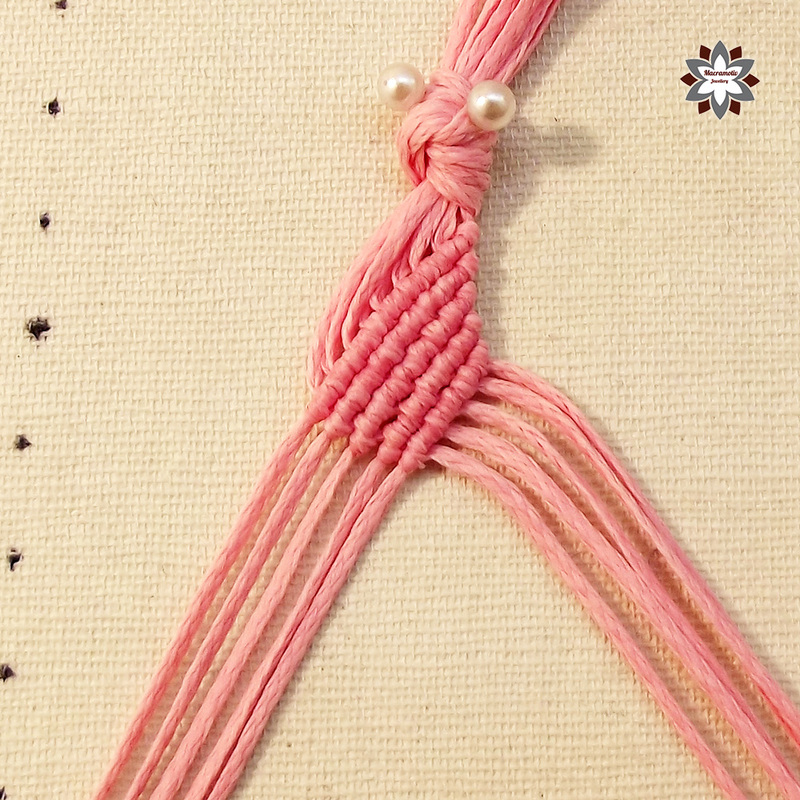 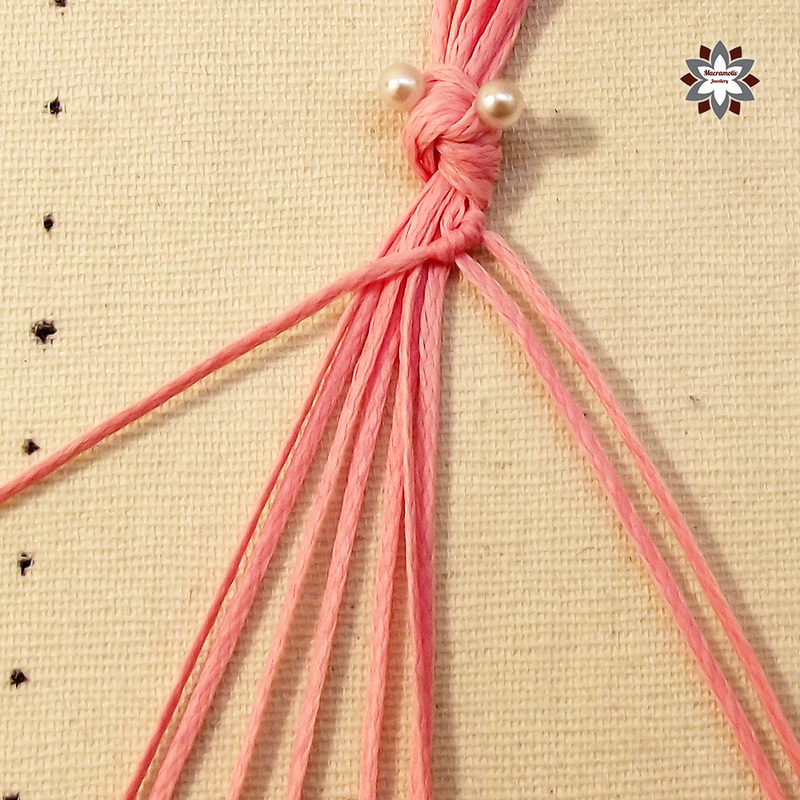 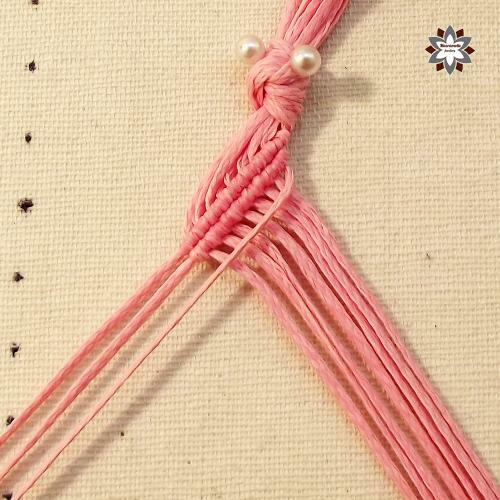 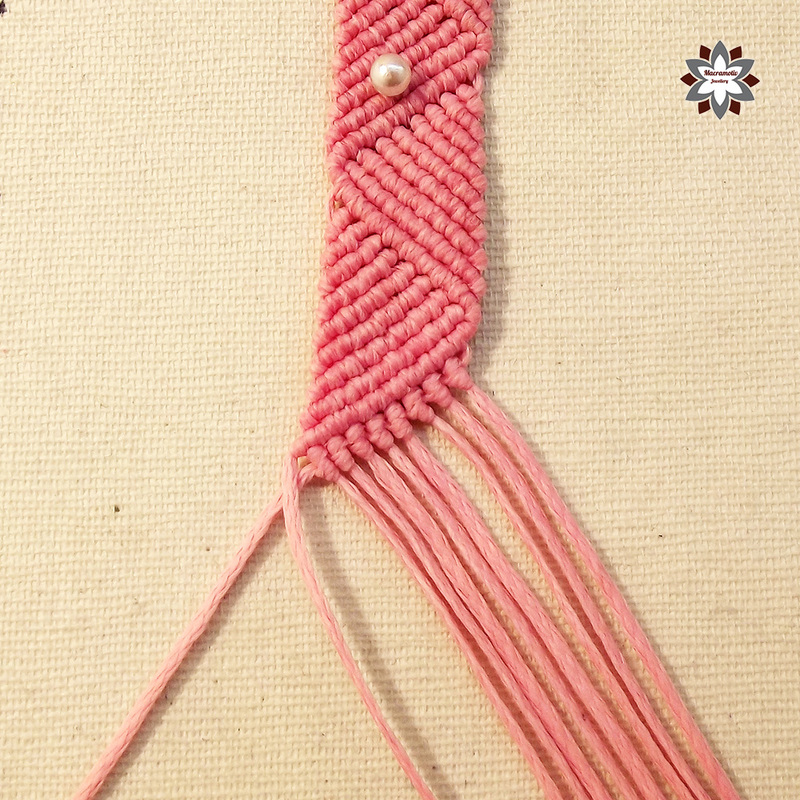 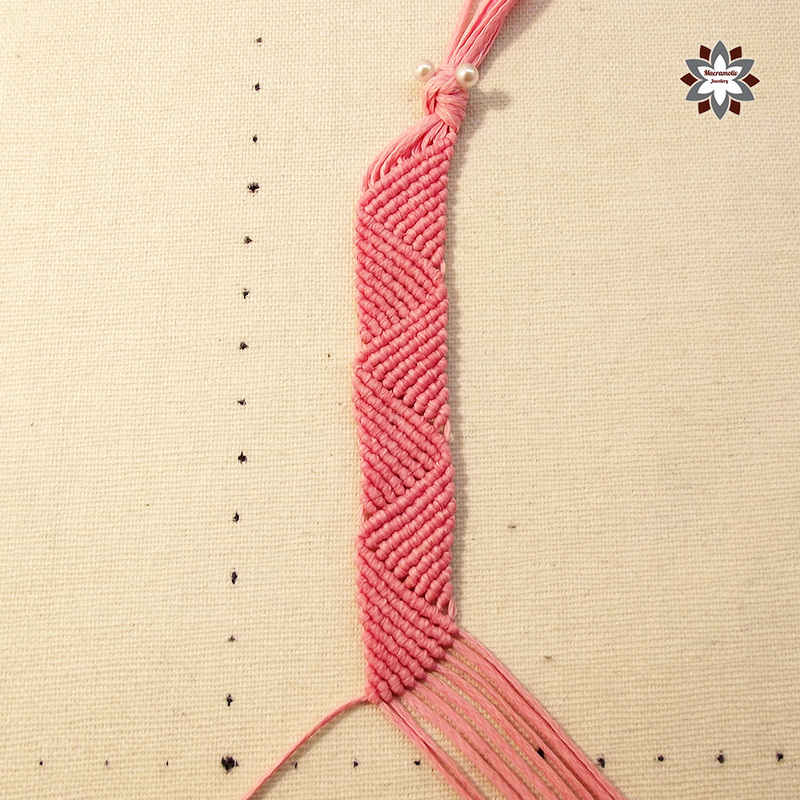 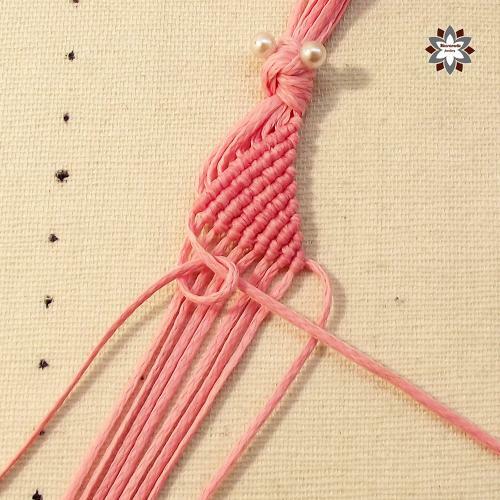 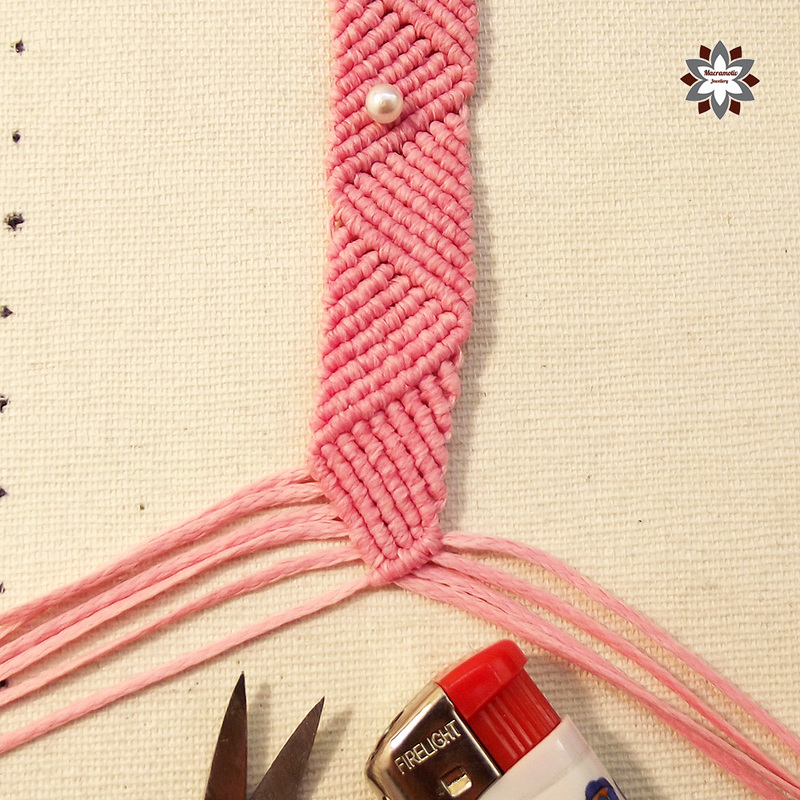 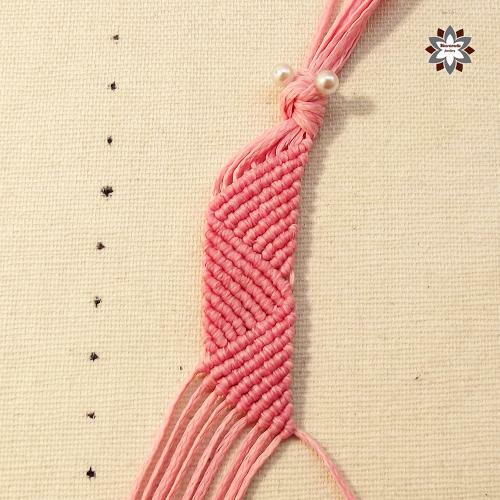 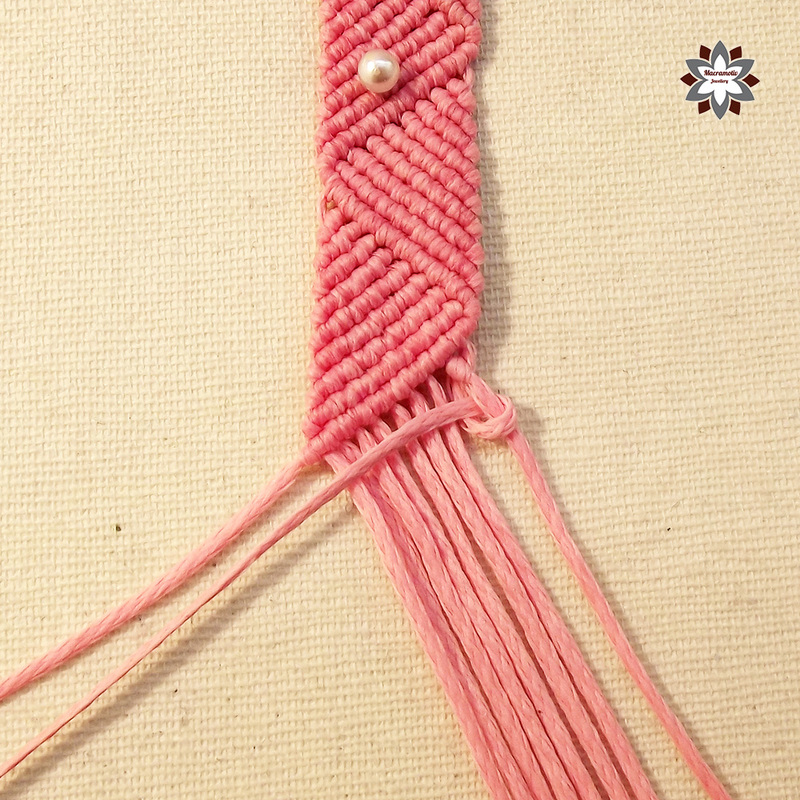 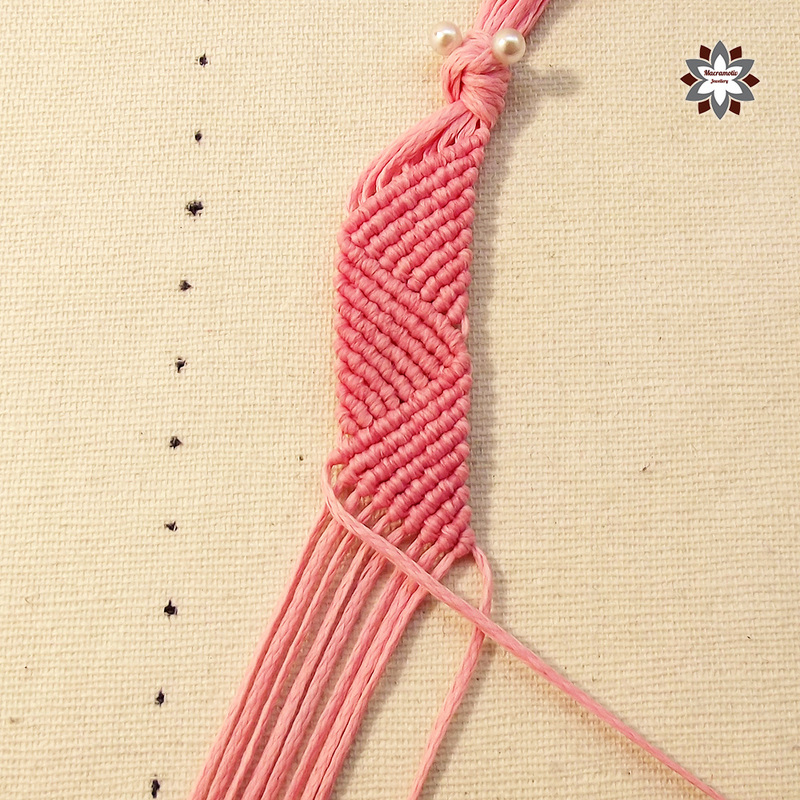 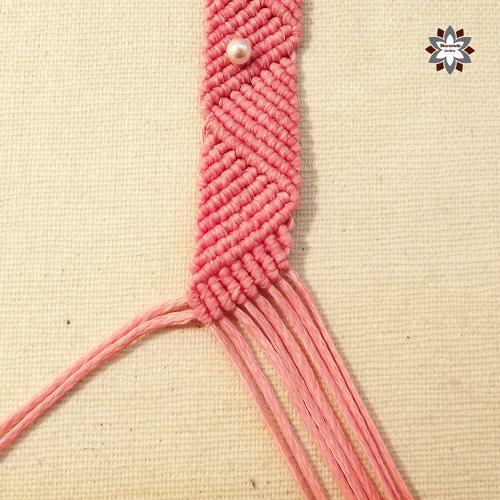 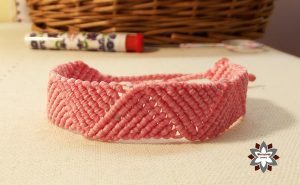 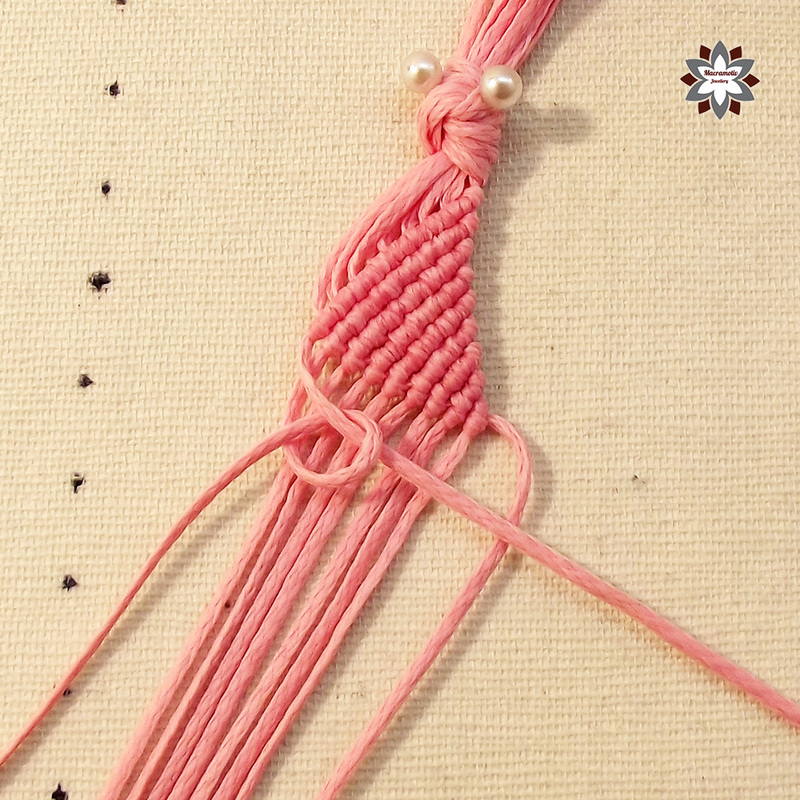 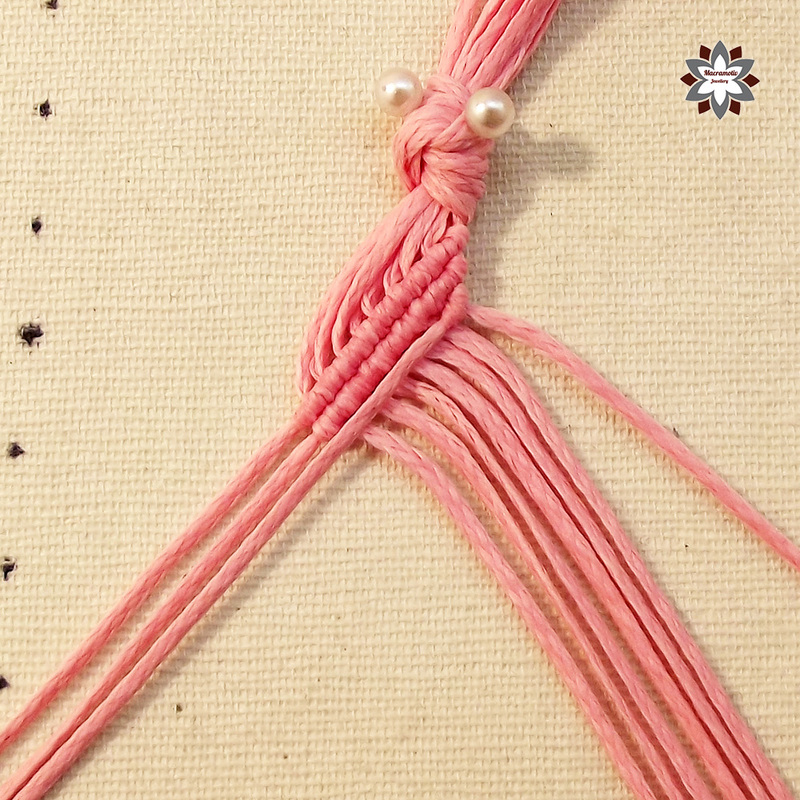 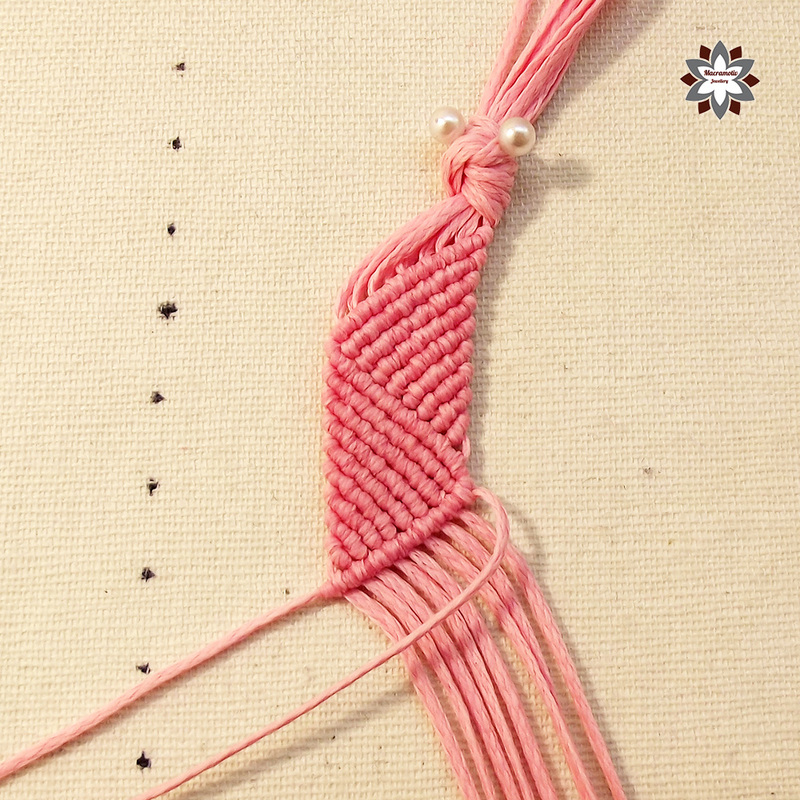 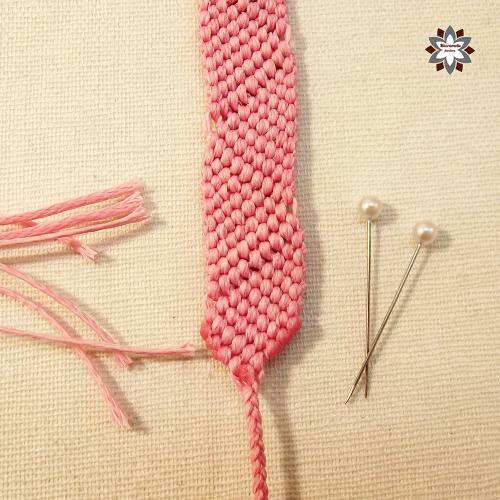 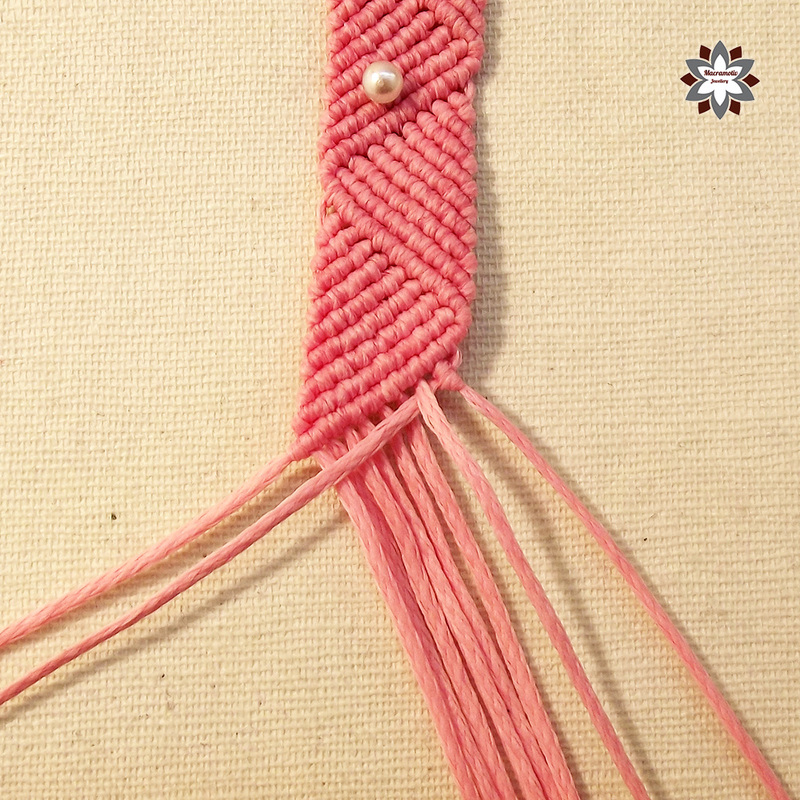 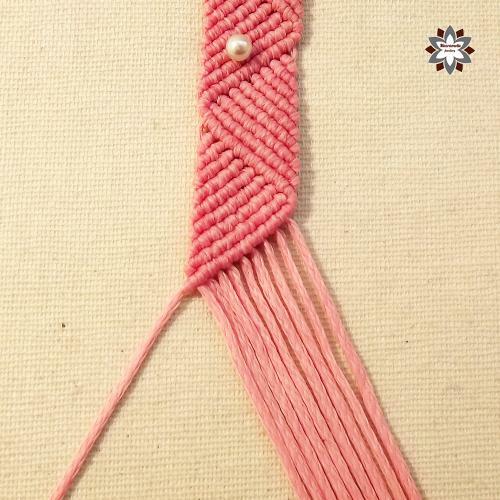 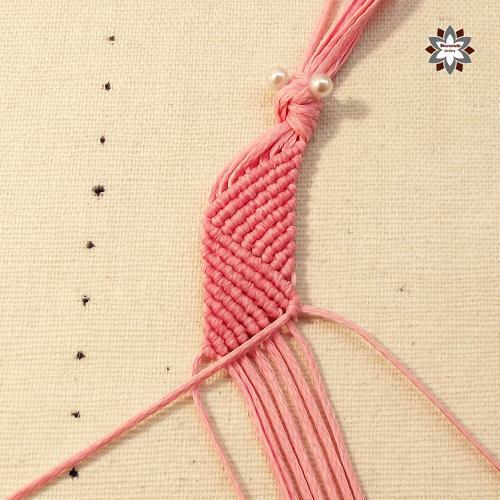 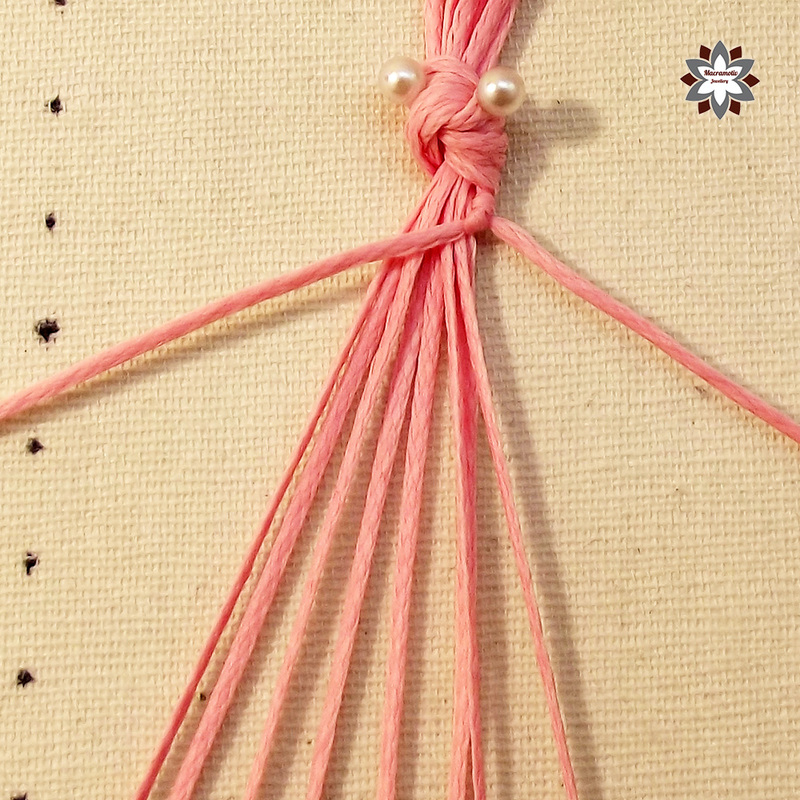 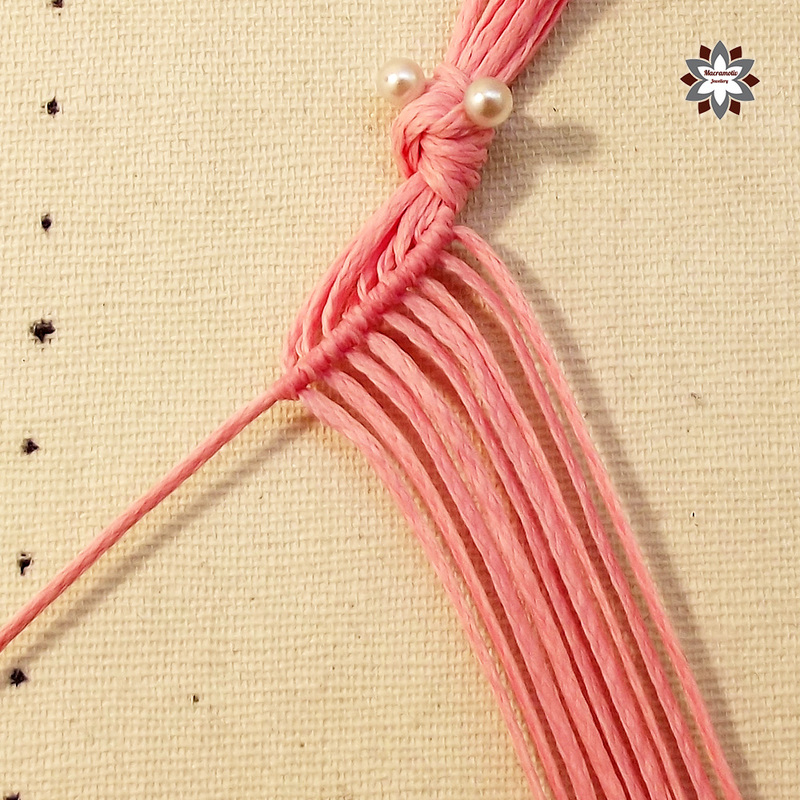 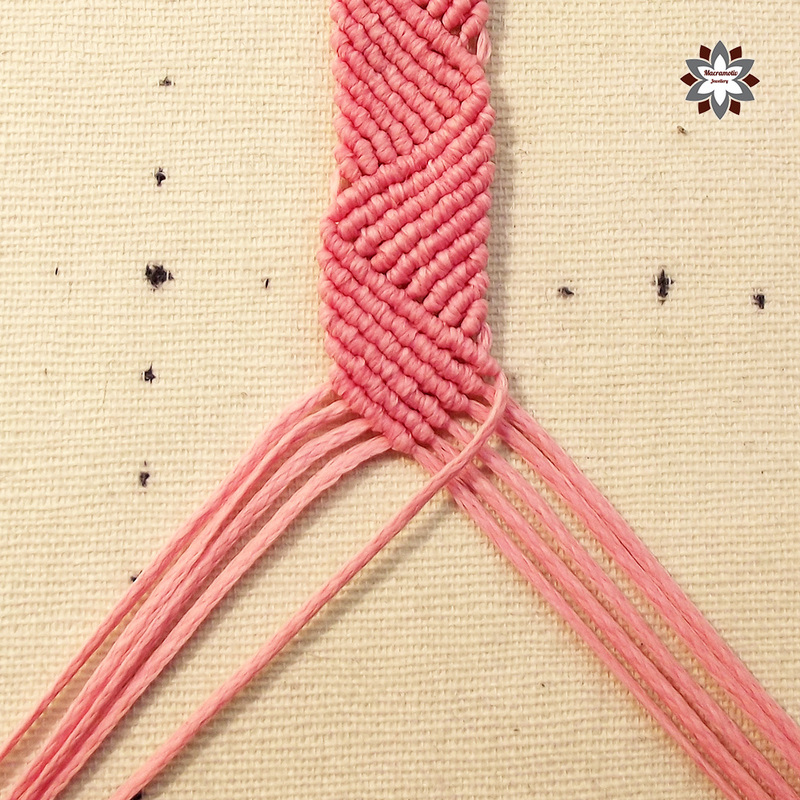 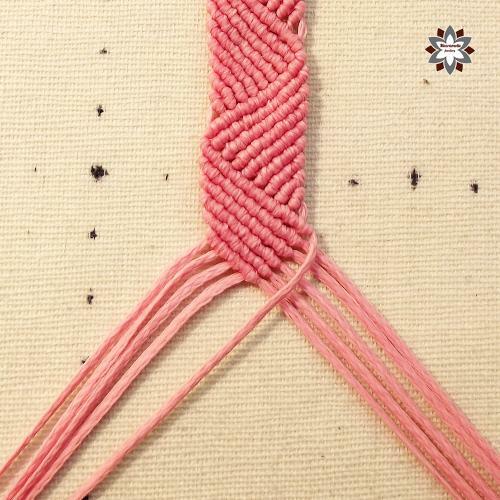 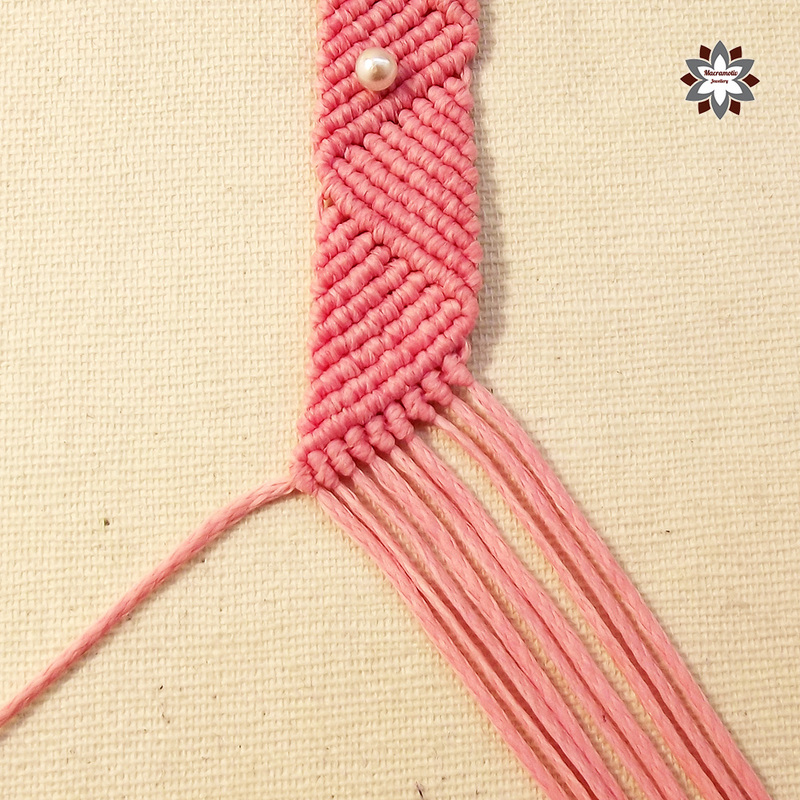 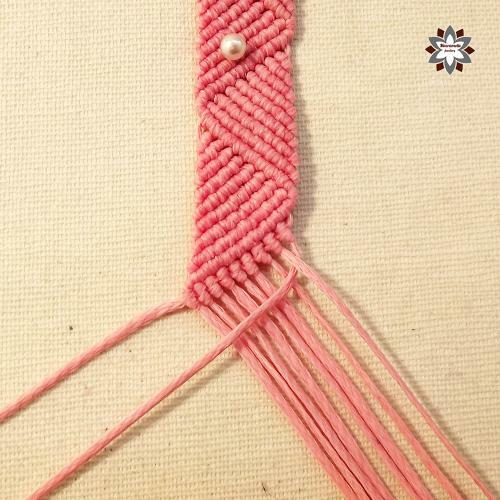 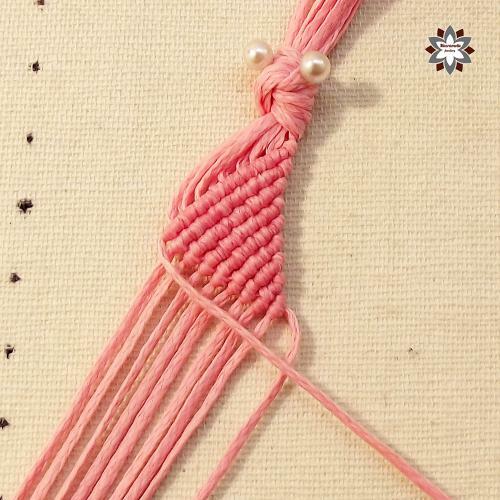 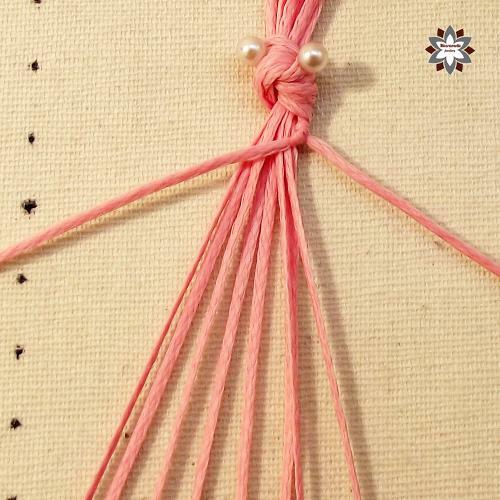 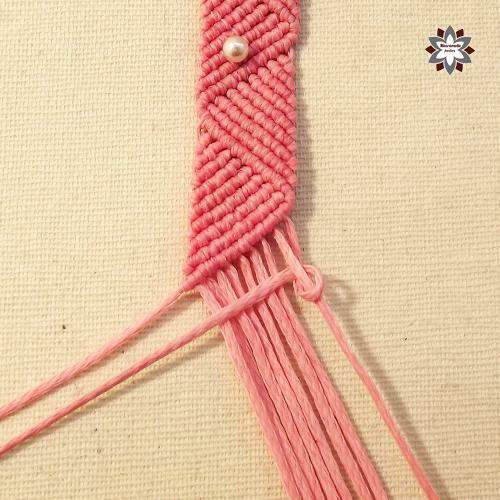 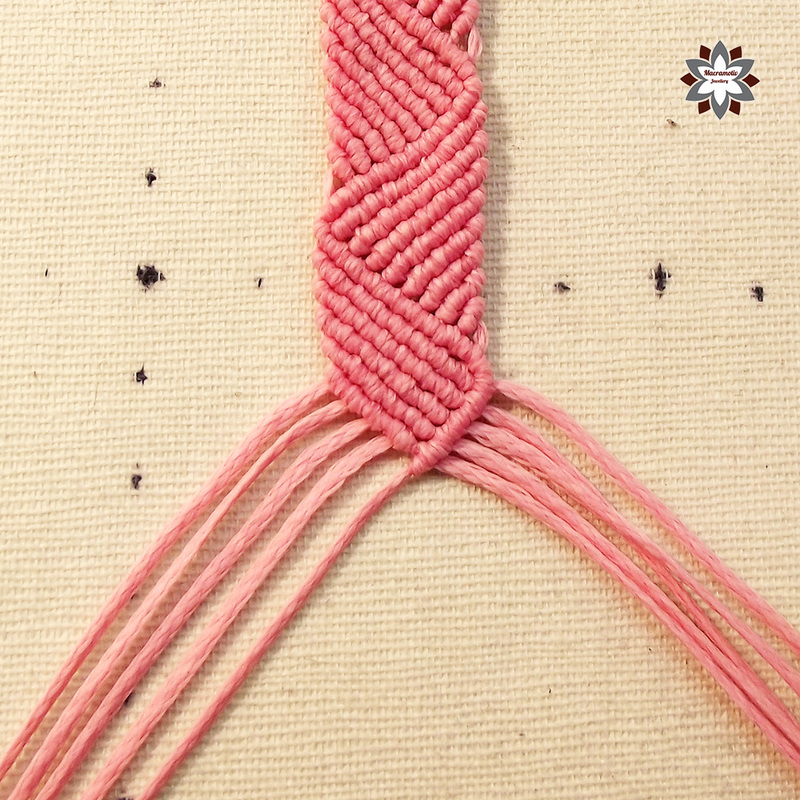 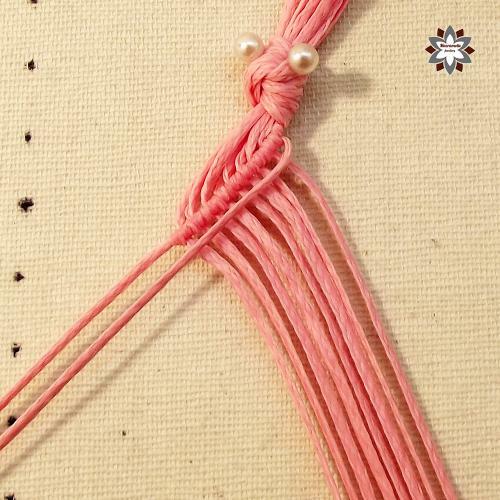 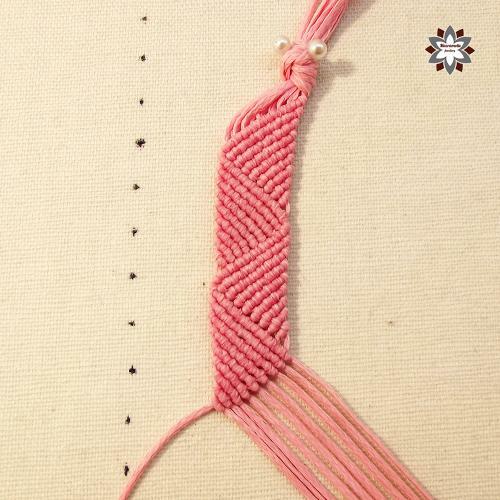 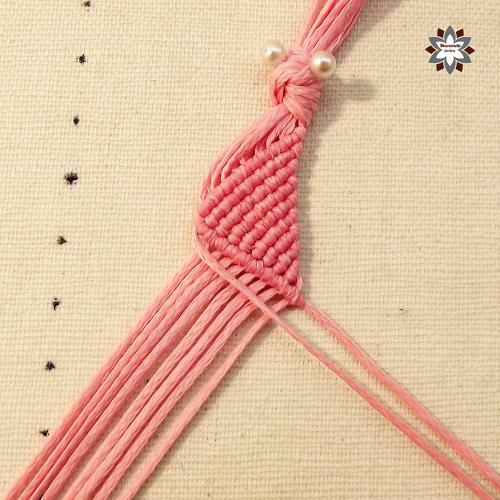 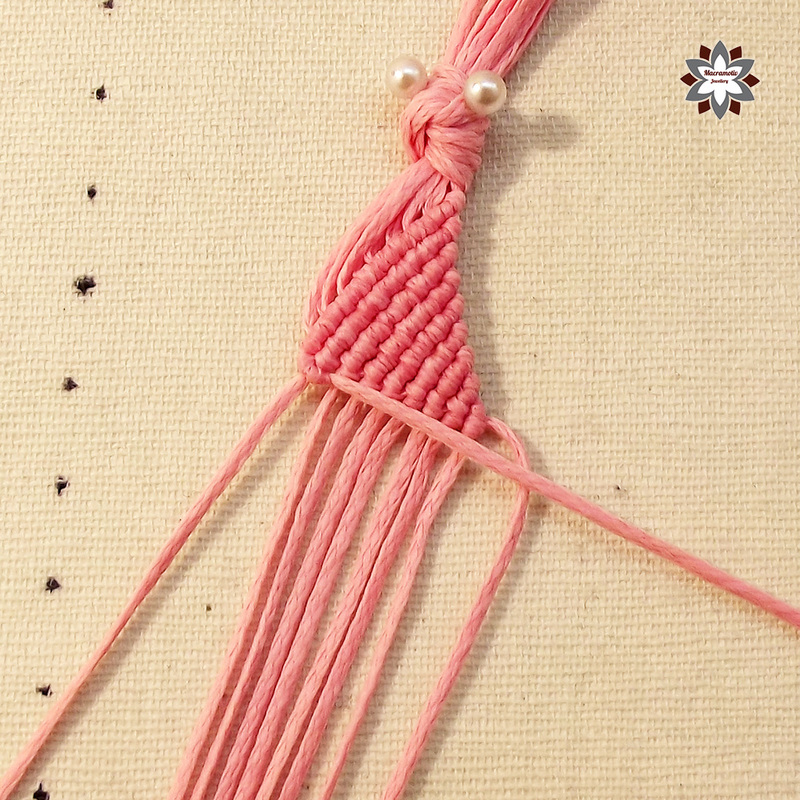 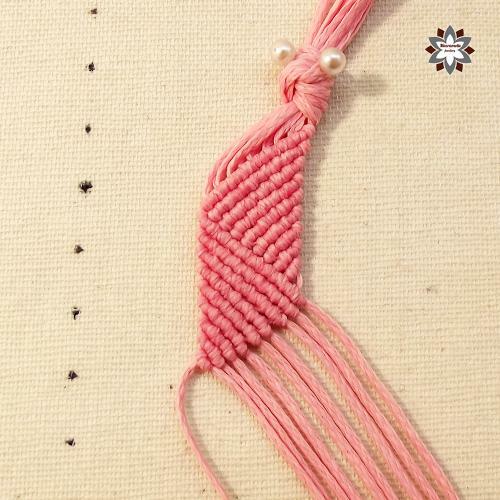 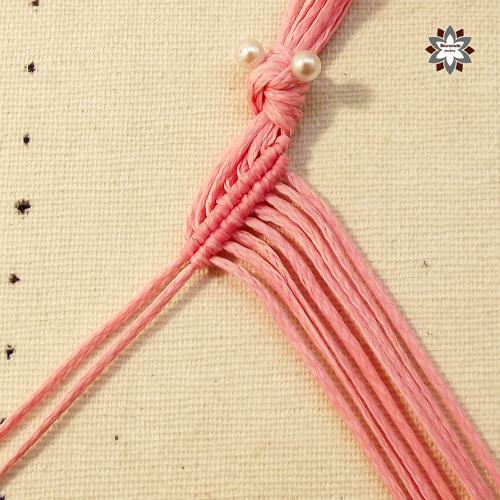 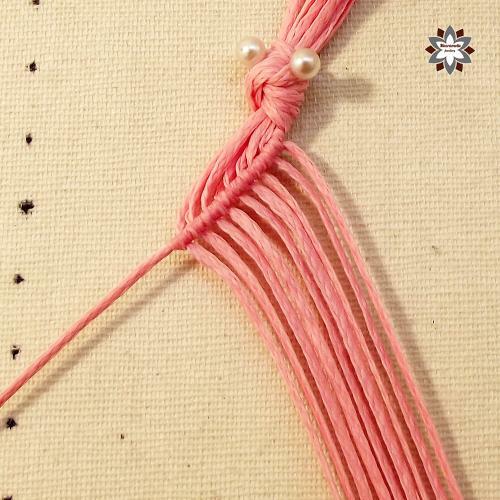 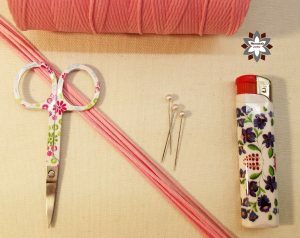 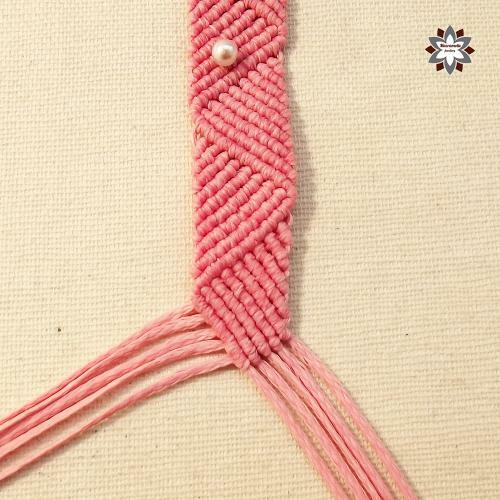 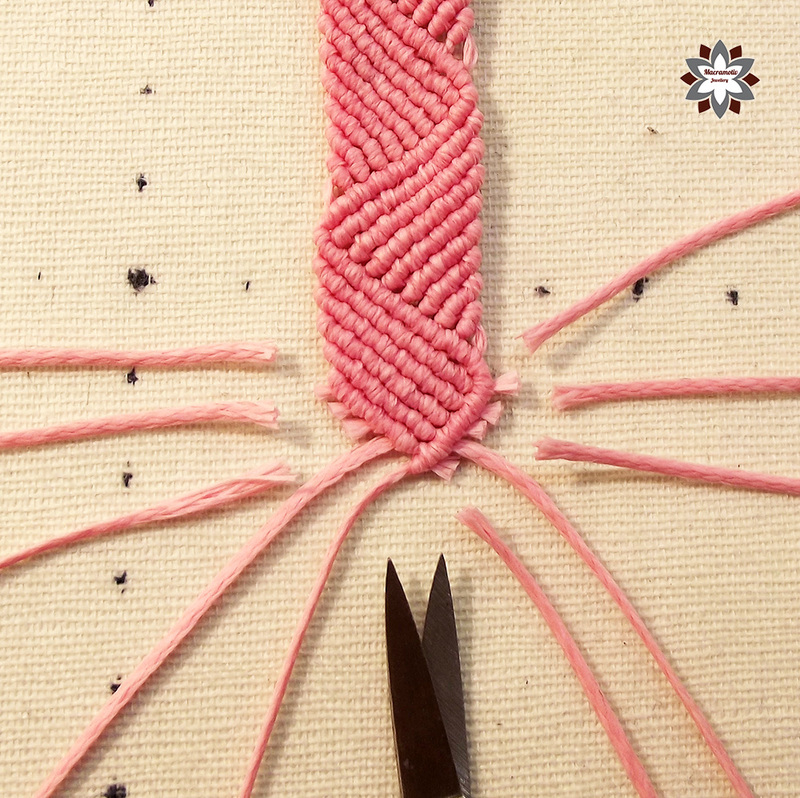 It could be an inspiration for others to try this wonderful craft macrame. 🙂 Thank you!